This article gives an overview of the Persian Empire 500 BC. The Persian Empire: c.500 BC – Around 500 B.C., the Persian system of taxation was tailored to each satrapy. A satrapy was the area ruled by a satrap or provincial governor. At differing times there were between 20 and 30 satrapies in the empire, and each was assessed according to its supposed productivity. It is the responsibility of the satrap to collect the due amount and to send it to the emperor, after deducting his expenses. The expenses included the power of deciding precisely how and from whom to raise the money in the province as well as offer maximum opportunity for rich pickings. The quantities demanded from the various provinces give a vivid picture of their economic potential. Babylon was assessed for the highest amount, and for a startling mixture of commodities – 1000 silver talents, four months’ supply of food for the army, and 500 eunuchs. This was exclusively a tax levied on subject peoples. Persians and Medes, however, paid no tax. But they were liable at any time to serve in the army. The Persian army: c.500 BC – The regular army of the Persian Empire contained an elite corps involving a brilliant element of propaganda. These crack troops were known as the Immortals, for the simple and inspired reason that there were always 10,000 of them. In theory, as soon as one dies, another soldier was ready to take his place. The army was precisely decimal. Divisions of 10,000 were divided into battalions of 1000, companies of 100 and squads of 10. 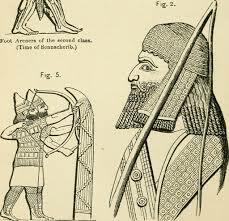 The bow was the chief Persian weapon, and the armies’ tactics were based on rapid movement and light armor. There were posting stations, where new men and fresh horses would be available at any moment to carry a document on through the next day’s journey. By this method, a message traveled the full distance of the road in ten days, at a speed of about 200 miles a day. A similar road goes down through Syria to the Mediterranean coast and Egypt. Another went east to India. Many different dialects were spoken in the Persian Empire, from Egypt to India. But all the official messages traveling on the imperial roads were in one language namely Aramaic. This Semitic tongue was derived from a tribe in northern Syria, which initially spreads through Assyria. Then Babylonian merchants carried it further afield until, by the 6th century. As a language for the Persian civil service, Aramaic also had a practical advantage. It used the Phoenician alphabet, a language to which it was related. So its letters could be written on papyrus thereby making it easily portable instead of needing to be pressed with a cuneiform stylus into wet clay. The architecture of empire: 522-486 BC – As well as setting in place the administrative structure of the empire and adopting Zoroastrianism as the state religion, Darius proved himself the greatest builder of the Achaemenid dynasty. In 521 he moved his capital to Susa, building there an audience hall along with a palace. An inscription found at Susa revealed his pride in his far-flung empire of craftsmen. In 518 he moves them all – stonecutters, masons, carpenters, sculptors – some 250 miles approximately 400 km to the southeast, to start work on an even grander creation. It became known to history by its Greek name, Persepolis thereby implying the city of the Persians. Persian carpets: 6th century BC – Persian emperors of the 6th century BC were among the first to make a display of lavish floor coverings. Carpets became one of the characteristic art forms of people living on the high plateau of West Asia, from Turkey through Iran, where winters could be extremely cold. They were particularly an important form of wealth and comfort for the nomadic tribes which resided in these regions and in the steppes to the north. 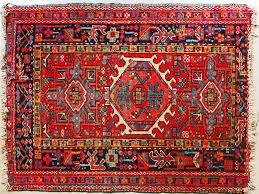 One of the earliest true carpets to survive which were woven with a knotted pile and was Persian in origin belonged to a tribal ruler in about 500 BC. It was discovered in his frozen tomb at Pazyryk. Amidst of all the successes of Darius’s reign, his only real failure was at the hands of the Greeks. It was one of profound significance for Persia’s future. Since about 545 BC, the Greek-speaking Ionia located in the modern southwest Turkey became a part of the Persian Empire. To protect this western region against nomads raiding from the north, Darius in 514BC attempted to extend his power in this direction. He crossed the Bosphorus and proceeded northwest. By the time he withdrew, Thrace and Macedonia were within the empire. Greece itself was now clearly under increasing threat from Persian intentions. By 499BC, Athens became the main target of the Persian emperor’s hostility. This was partly because of her support for the Ionian rebels, and partly because the tyrant Hippias, expelled from Athens, is at the Persian court offering treacherous encouragement. 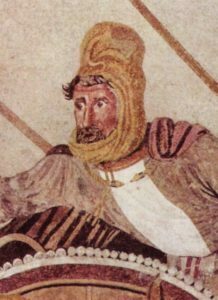 In 490 Darius launched his attack. The astonishing Greek victory at Marathon caused the Persians to withdraw. They had every intention of returning. But Darius died in 486 BC, and his death delayed the renewed invasion of Greece. Subsequently, it came to be launched in 480 BC by Darius’s son and successor, Xerxes I. It tasted an early success with the capture and destruction of the city of Athens but soon ended like its predecessor in total disaster, after defeat at Salamis and Plataea. The defiance of the emperor by the small independent Greek states severely damaged Persia’s aura of invincibility. This was a significant loss in the difficult matter of controlling any far-flung empire.